Did you ever watch your dog sleeping and wonder what he or she might be dreaming? Well, I have! 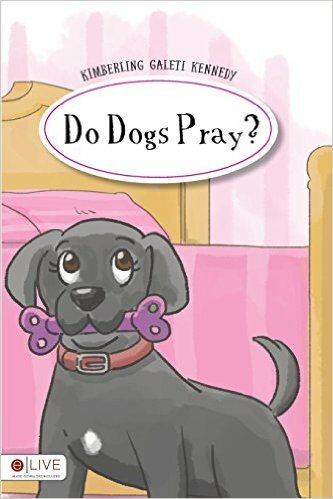 In Do Dogs Pray?, Lefty, my little black lab, says a prayer before drifting off to dreamland. She awakes suddenly! It's as if her prayers have been answered. Wait until you see what Lefty does next! The beautiful illustrations and easy rhyming story make this a very appealing book for youngsters to read independently. The large font size also makes for easier reading. I didn't like they way the text sporadically jumped from present to past tense and back to present again. The inconsistency in tense usage was irritating and confusing for children.